Fela Kuti was a remarkable musician who led a remarkable life. 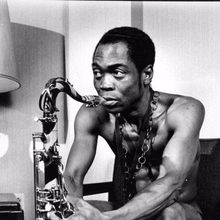 From his early days in London forming bands that played what would become his trademark groove of Afro-Beat to his militant anti-governmental corruption-inspired material in his later years in his native Nigeria he produced some simply incredible music. Afro-Beat mixes the traditional, lilting West African (originally Ghanaian) sound with American urban funk rhythms to produce an exhilarating, intoxicating brew. Fela Kuti and his huge entourage of musicians completely mastered this sound, producing an "almost live" type of groove that often just went on and on. 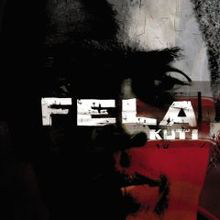 Fela and his band, often powered by the pulsating drumming of Tony Allen would get into a groove and just flow with it, the infectious rhythm underpinning the skanking-style guitars and Kuti's interjections on a blaring, often slightly discordant saxophone. The tracks are all full of lengthy instrumental grooves, lyrics come in every now and again and are often in the form of protest about various issues, usually corruption. The bass lines are constant and captivating on every track and on most there are points where the rhythm quietens down, just keeping the beat up, with a constant, repeated guitar line, and then the saxophone kicks in then it is back to the full band, then it may quieten again. This can often go on for ten minutes, fifteen even twenty minutes or more. For example, on "Lady" it is six minutes before Kuti's vocal arrives. Somehow, the music sums up its country of origin - Nigeria - chaotic, sensual, down 'n' dirty, effortlessly melodic, incredibly funky. Full of contradictions, sometimes frustrations, always invigorating and energising, however. The sound of downtown Lagos on a roasting hot, sweaty, dusty night. I have not been to Lagos, but I have experienced Nairobi in Kenya so I can feel it to a certain extent. There must have been a special atmosphere at his gigs. He has been gone over twenty years now, but there is a huge legacy of music left. This is as good a start as any, or any of the many albums (often containing only two tracks - one on each side) are recommended from this seminal African artist.